Does your child love to bounce? 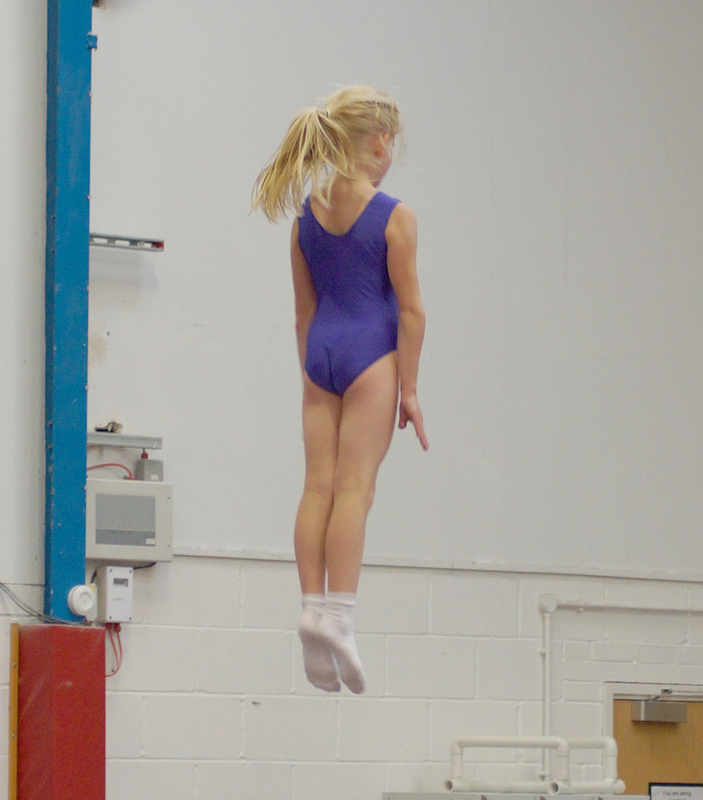 Trampolining is included in our gymnastics classes but we also offer sport specific sessions for those who want to dedicate more time to developing their trampoline skills. During a term of trampoline sessions children learn basic skills such as shaped jumps, seat drops, front landings, back landings etc. As they progress, the moves are made more complicated by adding twists in and out of moves at the appropriate time and in the learning of the somersaults. Both of our sunken trampolines provide extra safety whilst learning with our Level 5 trampoline coach, each gymnast works at their own pace whilst completing British Gymnastics badges each term so each individual is challenged and is always working towards something new. The sessions we offer are 60 minutes, during the session your child will learn good co-ordination, spatial awareness, teamwork & sharing and interacting with like-minded bouncers. We offer a range of classes from 5 years to adult classes (held during our AdultGym sessions) So whether you are a beginner or are more advanced, we are sure to find a class suitable for you.